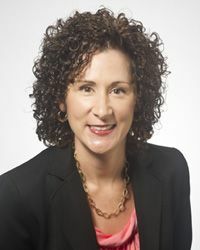 Louisiana Tech University Associate Professor of Marketing and Balsley-Whitmore Endowed Professor in Business Julie Guidry Moulard, Ph.D., has been recognized as a top reviewer (top one percent internationally in the area of economics and business) in Publons’ annual global Peer Review Awards for the 2017-18 award year. Publons, launched in 2012, is a website utilized by more than 530,000 researchers to track, verify, and showcase reviews and editorial contributions for academic journals. Notably, nearly 45 percent of Moulard’s reviews were submitted to journals that have impact factors of eight or nine. Less than one percent of other Publons-verified reviews are for journals with those same impact factors. Moulard’s own research interests include brand authenticity, human brands, consumption emotions, and wine marketing. She has published in multiple academic journals, such as the Journal of the Academy of Marketing Science, the Journal of Business Research, Psychology & Marketing, the International Journal of Advertising, the Journal of Marketing Education, and the International Journal of Wine Business Research. She serves as an editorial review board member for the Journal of the Academy of Marketing Science and the Journal of Business Researchand as an ad hoc reviewer for the Journal of Marketing. Moulard has been heavily involved in the Academy of Marketing Science (AMS), an international organization for marketing academics. She currently serves as president-elect of AMS and previously served as vice president for programs and vice president of membership-USA. In 2013, she received the Harold and Muriel Berkman Faculty Achievement and Development Award for her service to AMS. Moulard also has served as a member of the Academic Advisory Board of the Direct Selling Education Foundation since 2015. For more information on Publons, visit publons.com.